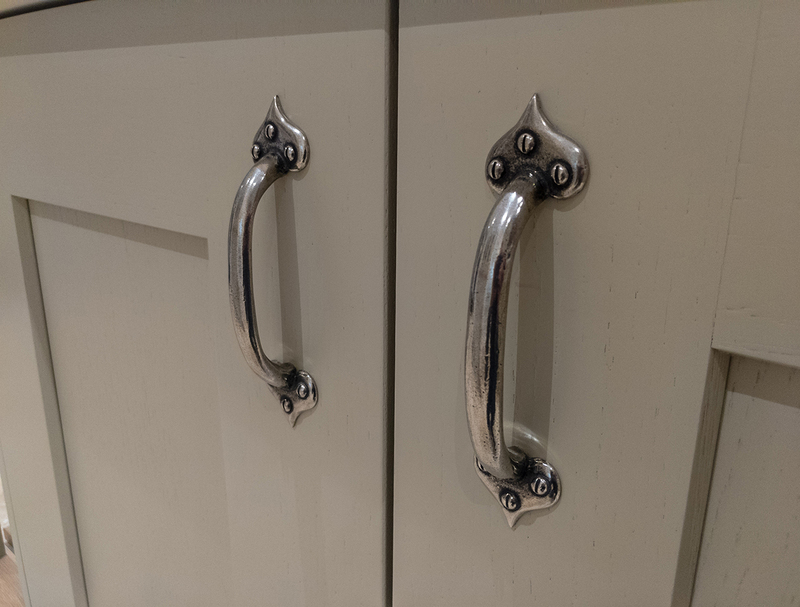 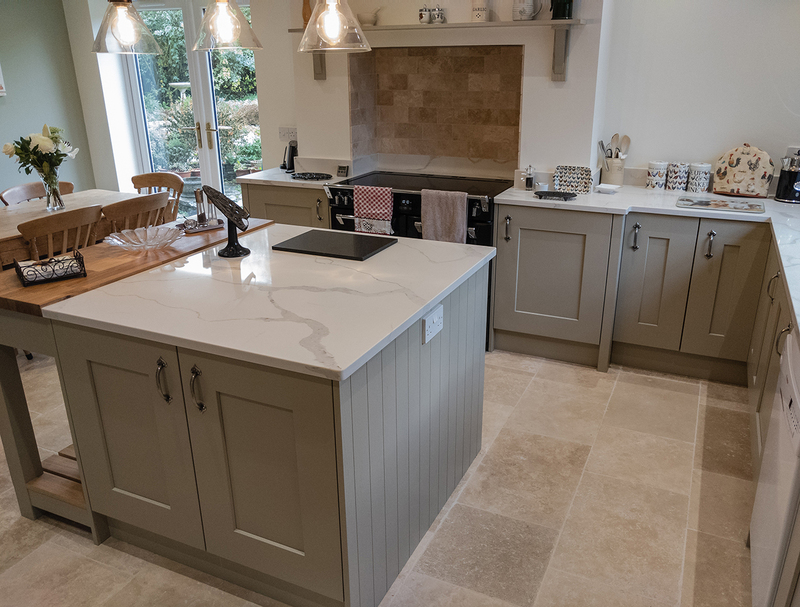 The epitome of classic English elegance, this Stori Clonmel kitchen in Painted Biscuit was designed for a private client’s residence in Tarrant Hinton. 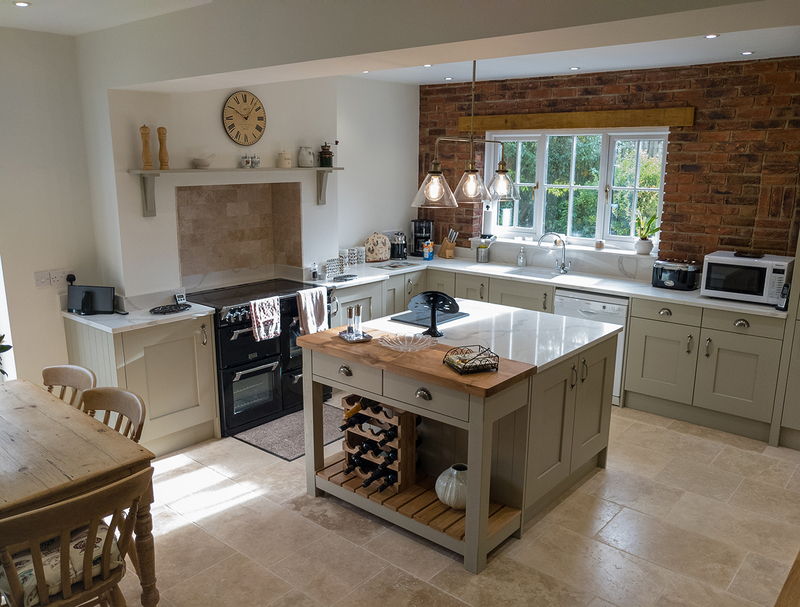 A modern interpretation of the traditional English country kitchen, the design and colour are in keeping with the style of the pretty stone and flint cottage in which it was installed. 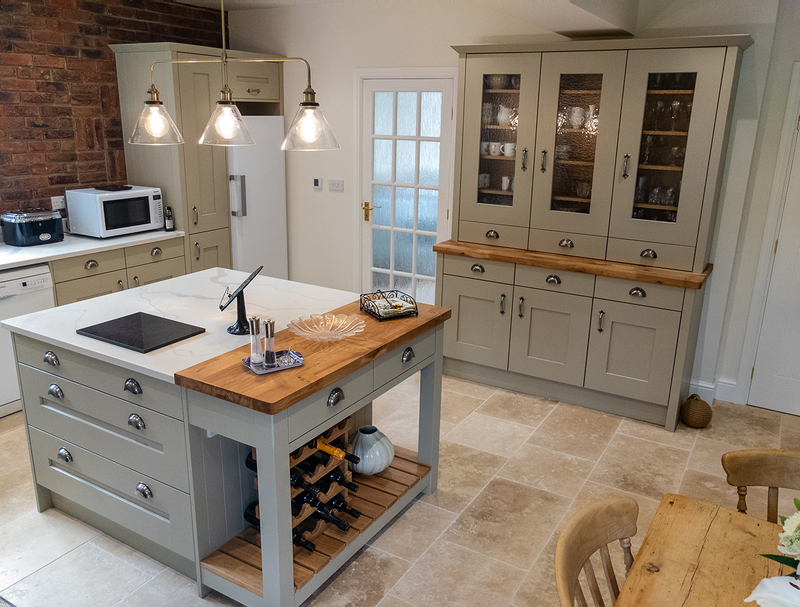 This design incorporates all the features associated with country elegance including beautiful marble look 30mm worktops in Caracatta quartz, wide framed shaker doors in a chalky sage colourway, a ceramic sink, a traditional freestanding range cooker with overmantle, tongue and groove end panels, and a large sideboard with display cabinet. 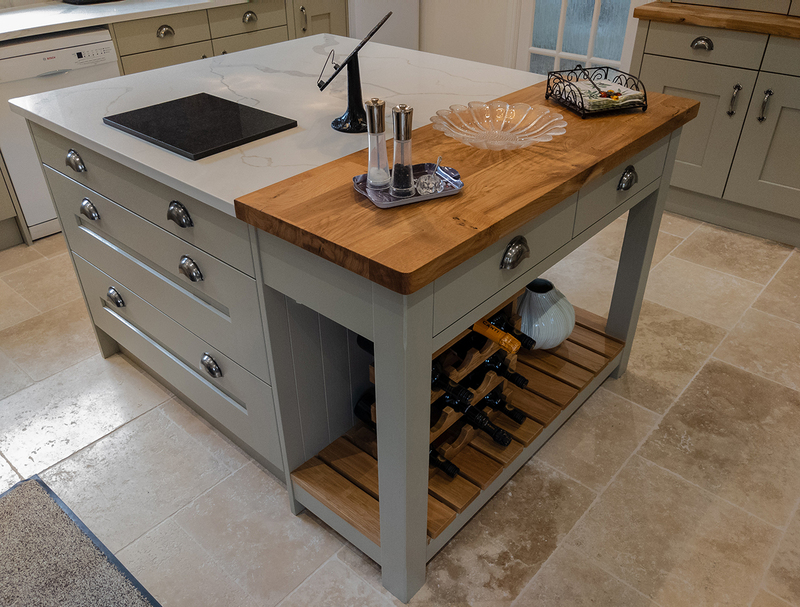 One particular special feature designed specifically to meet the client’s request is the pastry bench within the central island. 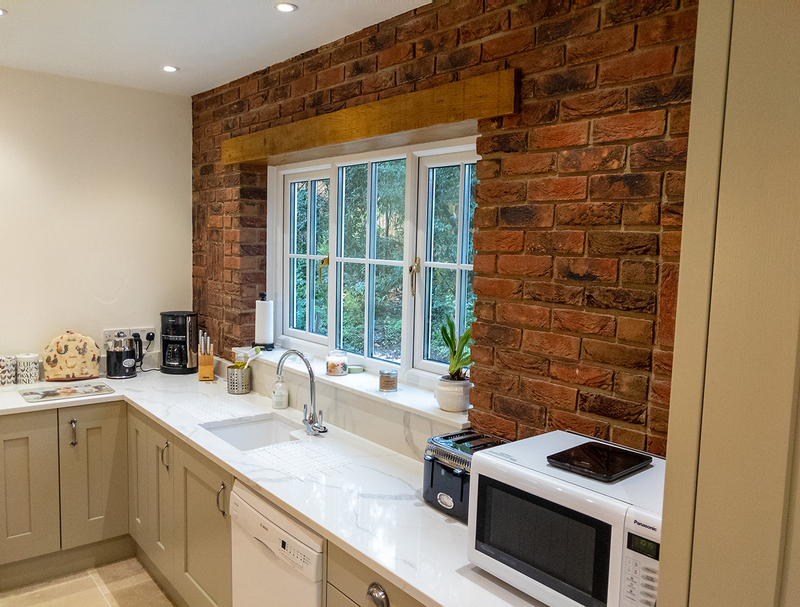 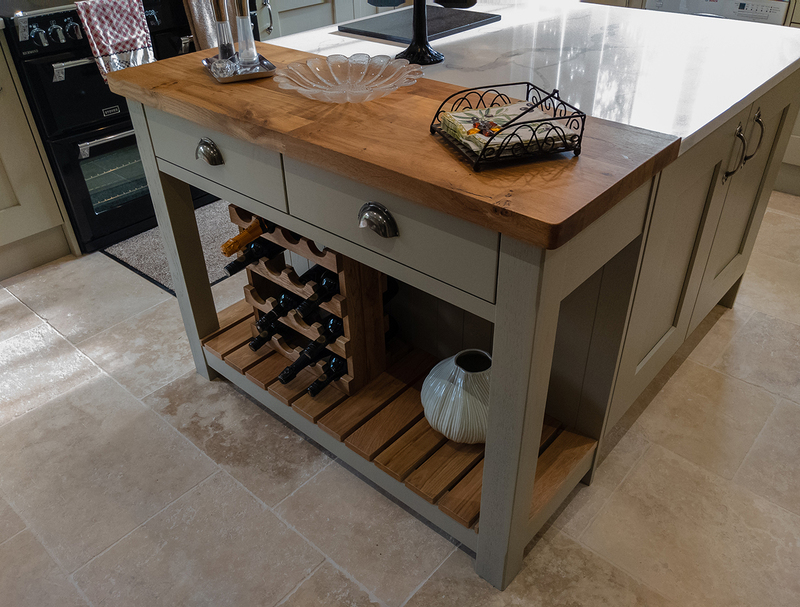 The oak worktop on the pastry bench and the sideboard adds a touch of rustic appeal that complements the bare brick walls and stone flooring with iron cup handles adding the finishing touches to the overall scheme. 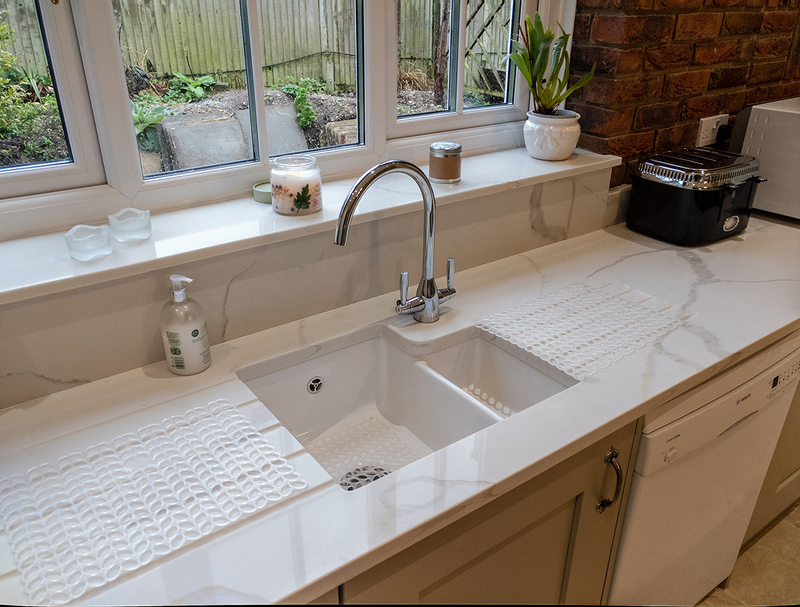 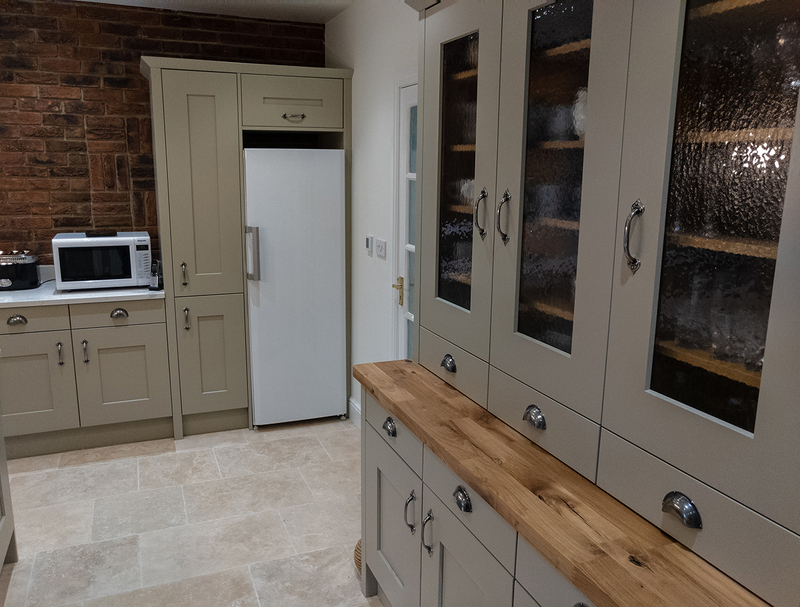 With this project, the utility was fitted out in the same units and worktop as the kitchen including a Belfast sink and large larder storage unit. 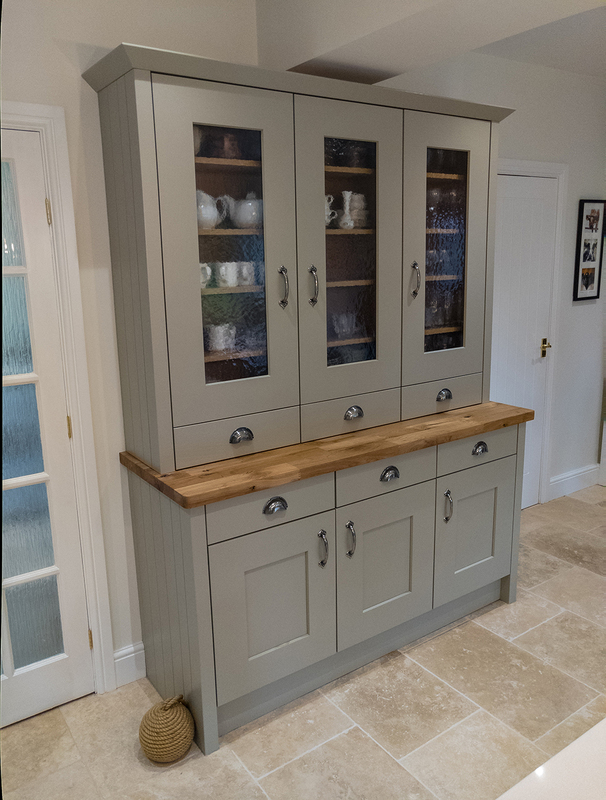 Meridien Interiors designed, supplied and fitted this kitchen. 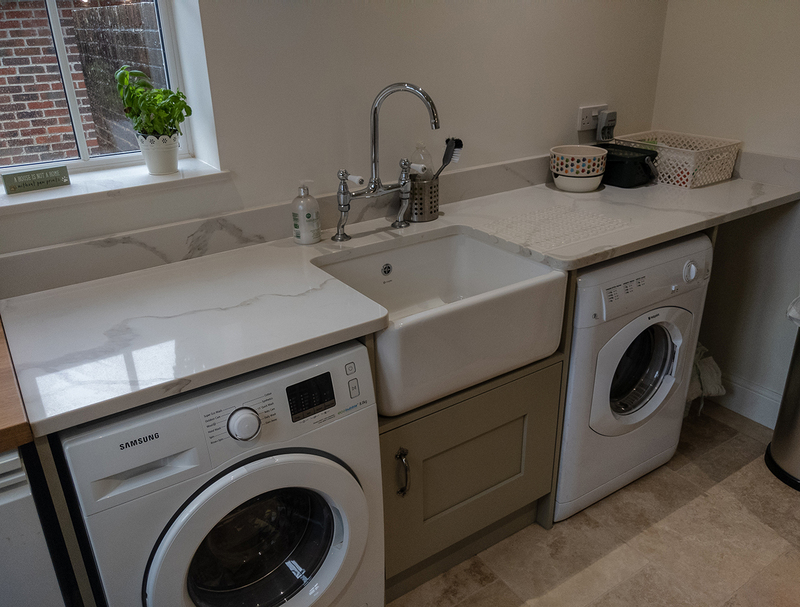 Meridien’s fitting service is particularly appealing to domestic clients where the job can be handled from the design concept all the way through to the installation. 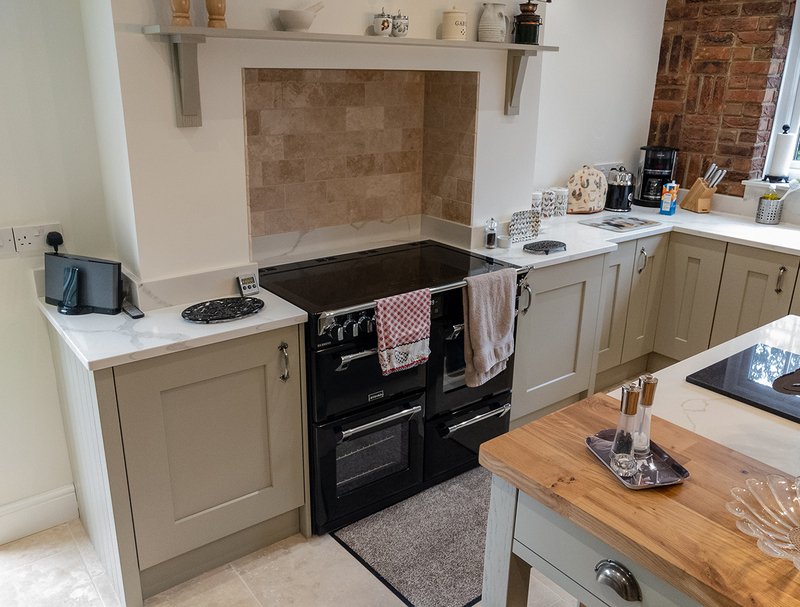 From our first consultation with Karl at Meridien to the installed kitchen/utility the service has been excellent. 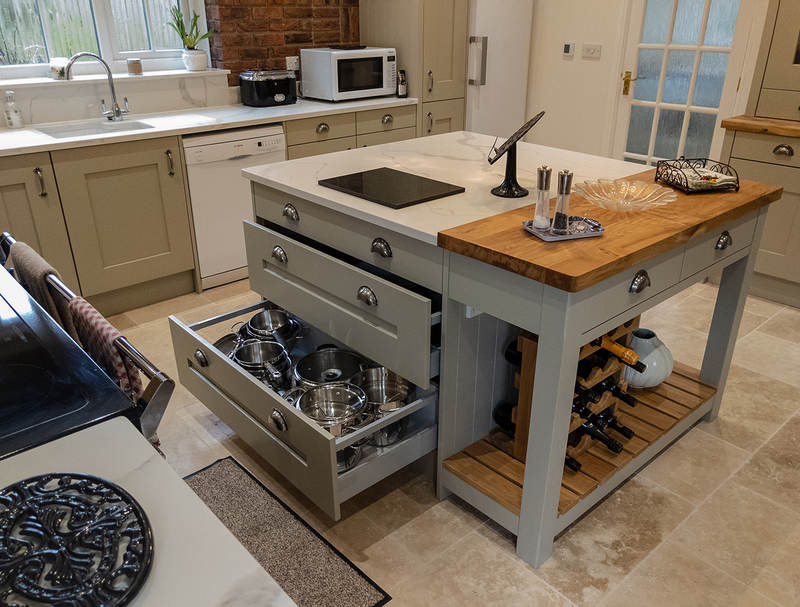 Karl spent a long time working out a design to suit our ideas and budget and was very helpful in making changes during the design process even offering other options the day we went to finalise the plans! 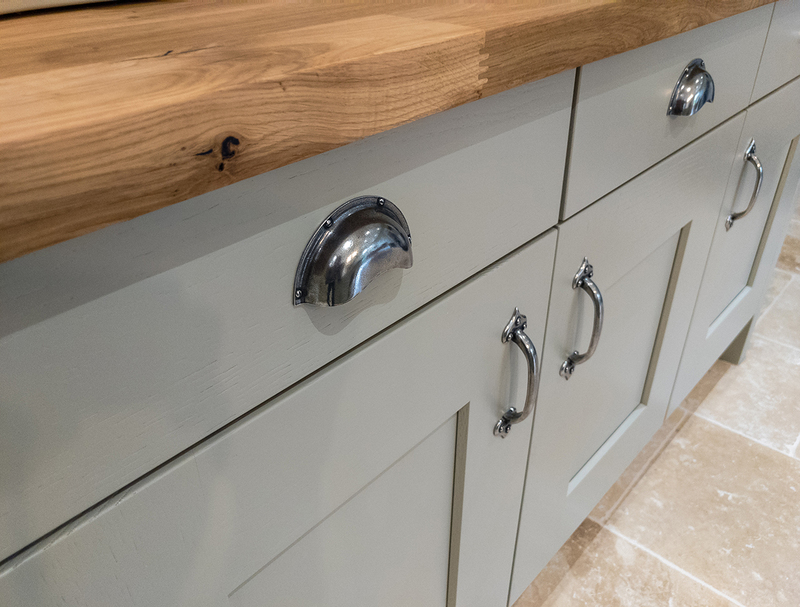 The quality of the build is excellent including the wortops, sinks and metal fittings . 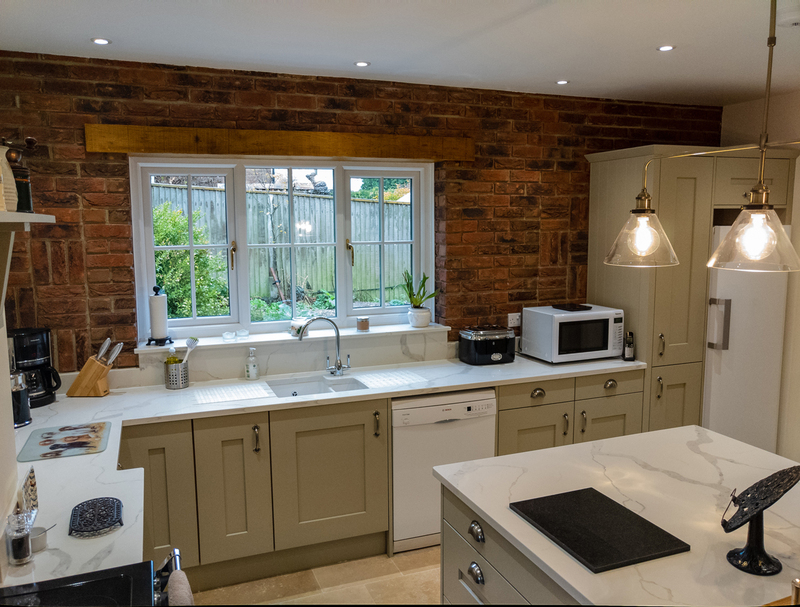 Mention should also go to the kitchen fitter, Neil, who went out of his way to help when there were some issues with our extension build.